Every woman loves a sparkling piece of jewellery, whether it’s to spruce up for an exceptional night out, or to simply add some style to their everyday look. Earrings are a popular choice amongst women who want to add some glamour to their everyday look as they can be worn on any occasion and add something special to every outfit and face shape. When you invest in a piece of fine jewellery it is important to select a piece which not only looks stunning, but also enhances your beauty by playing up your good features. Here are a couple of tips on selecting the right sort of earrings for your face shape. While selecting earrings, the golden rule is to choose a design which balances out the stronger characteristics in your face. Every face is beautiful, and jewels – as with hair styles and make up – can be used to draw in the eye to the most appealing parts of your face. The oval face is considered to be “flawless”, in the sense that it is well balanced and not particularly long, wide, or pointy. This well balanced shape can carry off any sort of earring design without counterbalancing the face. The long, or circular, face shape has a high forehead, a long chin and a narrow width. 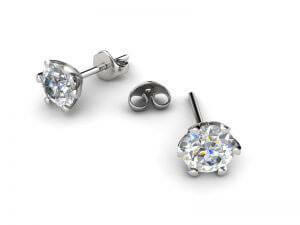 The kind of earrings that suit this face shape are ones that incorporate width as this counterbalances the length. Long earrings accentuate the length of the face and are thus not ideal for this shape. 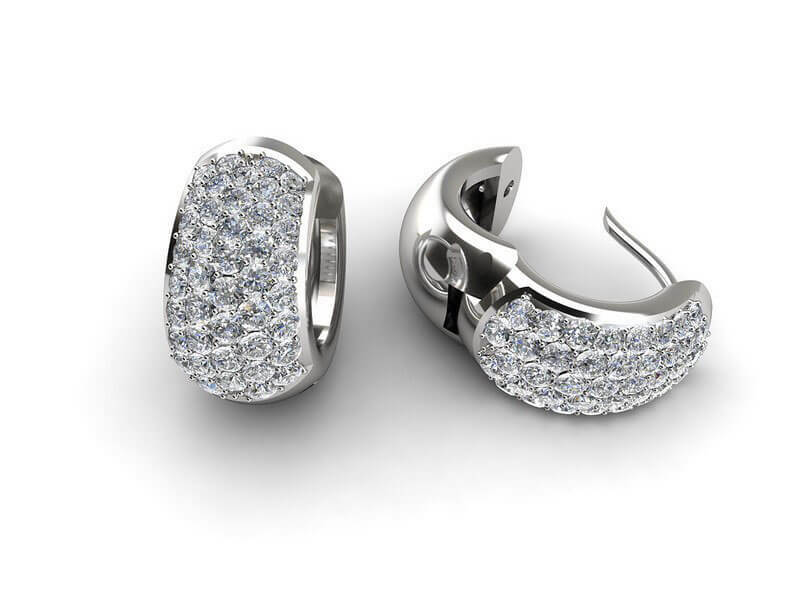 Ideal designs for this shape include circle earrings that add volume to the side of the face and studs or clusters that draw attention to the width of the face rather that its length. Round faces are wide all the way around. The best way to counterbalance this shape is with drawn out shapes like chandelier and dropdown styles. The length of these pieces will add length to the face and draw the eye down. For best results, pick slender earrings rather than wide ones. 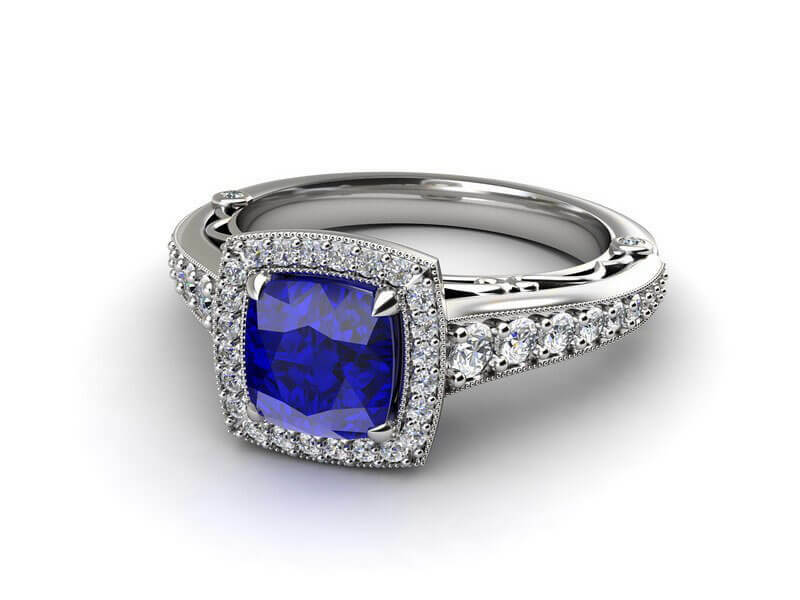 This is another shape that has a lot of width as well as an unmistakable geometric shape that is an very strong look. To soften a square face, the best earrings to pick are those that have twists, which will contrast the strong lines of the jaw and forehead. The heart shaped face and the upside down triangle framed face are incredibly elegant; the temples tends to be high with a pointed jaw. Earrings can again be used to soften these components, with dangling oversized pieces being the most effective look.